Nearly 2 billion consumer records were stolen or accidentally exposed in the United States last year, including personal data on nearly half the U.S. population held by the Equifax credit agency. The data breaches raise questions about whether consumers’ information can be protected. Privacy advocates want lawmakers to adopt rules similar to those in Europe, which require consumer consent before companies can use or share data. Congress is considering bills that would penalize companies that conceal breaches and would educate consumers on how to better safeguard their data. But little action is expected because of disagreements over how much regulation is needed. Many Republicans warn that excessive regulation could harm online commerce, while most Democrats want greater business accountability. Technological developments make it more difficult to protect online privacy, while the rapid expansion of the Internet of Things — in which consumer devices are connected to the internet and sometimes each other — makes hacking easier and could lead to the surveillance of unwitting consumers. 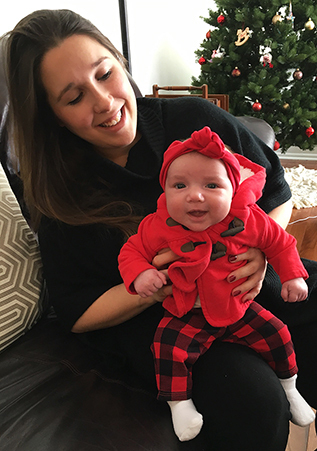 Just before Christmas last year, Tara Nicolson received a call from a credit card company, which said it had received an application for a card in her name. The fraudulent credit card applications in Nicolson's name occurred only months after a massive data breach at the Equifax credit-reporting firm. While she suspects the Equifax breach, in which the records of 145 million Americans were stolen, is to blame for her experience, it is impossible to know for sure whether that breach was where the thieves got her data. “We're just so vulnerable,” Nicolson says. Although the massive breaches and the unwillingness of some companies to report them quickly have triggered worry among businesses, regulators and lawmakers, the federal government has taken little action and, in fact, has loosened Obama-era privacy restrictions. The Federal Communications Commission (FCC) in October 2016 approved rules to limit how internet service providers (ISPs) could use and sell customer data in what many called an important step toward giving consumers the right to control their own information. The rules would have given consumers the right to bar providers from sharing location data, browsing history or data about app usage. The largest data breach thus far this century involved all 3 billion accounts held by Yahoo, affecting hundreds of millions of users of Yahoo email, Yahoo Fantasy Sports, the Tumblr blogging and social-networking site and the Flickr photo-sharing site. While the Yahoo hackers stole email addresses and passwords, last year's breach of the Equifax credit-reporting agency involved the theft of far more consequential data: private financial information and Social Security numbers of 145.5 million Americans. Other proposed bills include mandating penalties for companies that fail to report a breach in a timely manner and requiring opt-in consent by consumers before broadband cable companies and ISPs could share personal data. But lawmakers from both parties agree that passage of such regulations is unlikely this year, given the president's and the GOP majority's opposition to additional business regulations. 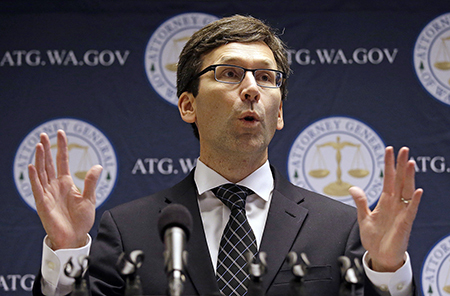 The Supreme Court will provide guidance on digital privacy issues this year. In Carpenter v. United States, the court will decide whether cellphone data held by a third party, the carrier, is protected by Fourth Amendment privacy rights against warrantless searches by government agencies. Meanwhile, most experts agree the United States needs a new identification system to replace the Social Security card number. 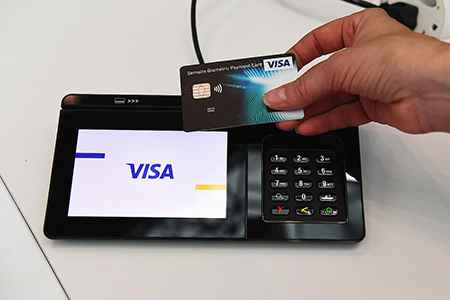 Some argue its use should be prohibited in the private sector to lessen the chances of identity theft. Technological advances — ranging from encryption to biometrics and facial recognition — could also be part of a more secure system. The number of interconnected devices — known as the Internet of Things (IoT) — is projected to nearly quintuple worldwide between 2015 and 2025. 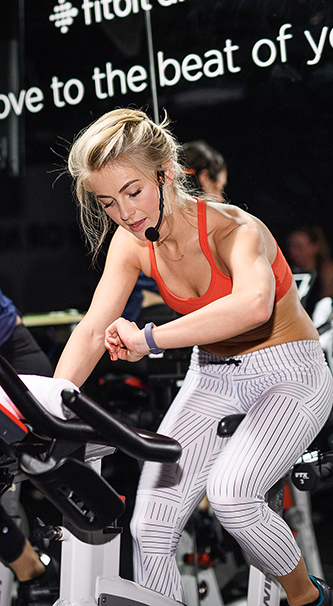 The IoT connects TVs, fitness bands, appliances and other items to the Web and sometimes to each other. Note that figures for 2017 to 2025 are projections. Technology known as de-identification holds promise because it would allow companies to remove key identifiers linking individual records to consumer data, says John Verdi, vice president of policy for the Future of Privacy Forum think tank. “De-ID is increasingly important … as technologies evolve,” he says. Should consumer consent be required before data can be shared? The use of consumers' information without their explicit consent is one of the most controversial practices in the data privacy debate. Experian was not required to get consent from those consumers before sharing their data with Alteryx. While Experian stressed that the information did not include any personally identifiable information, the researcher who discovered the unsecure database said the data would be a “gold mine” for unscrupulous marketers or identity thieves. ISPs, such as Verizon, which lobbied to get the rule repealed, want to expand their digital advertising opportunities, and the browsing history data is key to doing that. Last fall, Rep. Marsha Blackburn, R-Tenn., introduced the BROWSER Act (Balancing the Rights of Web Surfers Equally and Responsibly) that would prohibit either ISPs or content providers (such as Google or Facebook) from selling data without opt-in consent. Most consumers automatically click “I agree” to terms-of-service agreements online, choosing functionality over privacy and sometimes unknowingly giving up their personal data for use in behavioral targeting. But when a company loses personal data, regardless of whether it's from a newsletter sign-up or from a credit bureau, who is liable? The responsibility for privacy does not rest solely on consumers' shoulders, some argue. “Strong consent is beside the point,” says Rotenberg of EPIC. If a “company chooses to collect your personal data, they take on the responsibilities” of ensuring that it is secure. And as biometrics such as facial recognition become more commonplace, consent becomes more nebulous. “When there's a billboard that watches who's walking by it and shows ads related as to who you are [by facial recognition] there's no way of doing consent,” he says. Should the Social Security card be replaced as a primary means of identification? Social Security numbers (SSN) were never intended to be used as a national identifier. When the first card was issued in 1936, the number was designed simply to keep track of the earnings of U.S. workers for benefits and entitlement programs. Today, it is the most commonly used identifier in the country. “SSN is a completely archaic identifier,” says Tim Edgar, a privacy lawyer and former White House cybersecurity adviser. Edgar is a senior fellow at Brown University who helped put together its Executive Master in Cybersecurity program. Some university databases, for instance, rely on the number to identify students. And credit card companies use it as an authenticator. Sixty-six to 70 percent of Americans in 2016 were confident their cellphone, credit card and email providers were protecting their personal data, but fewer than half of those surveyed had the same confidence in the federal government or social media companies. Note that refusals and “does not apply” responses are not shown. Some experts have proposed biometric solutions. But Rotenberg says a national biometric identifier “raises serious privacy and security risks.” While passwords can be completely private, known only to the user, biometrics are inherently public. The solution may lie in using more than only one number or one imprint for authentication. “This needs to be a little bit painful,” says Eva Casey Velasquez, president and CEO of the Identity Theft Resource Center. She says biometrics should be just one piece of a secure authentication system. Should police be allowed to use cellphone data gathered without a warrant? Few dispute that laws, and the court decisions based on them, have failed to keep up with the speed of technological change and unforeseen threats to privacy. Laws written before the Web's inception reflect a time when one's privacy was defined within solid walls, not virtual ones, and a “reasonable expectation of privacy” largely existed only within those tactile structures. The Supreme Court will hear a case this fall, Carpenter v. United States, that legal experts say can clarify the rules on government surveillance and privacy. Lower courts have upheld the practice largely based on the so-called third-party doctrine, which states that such records can be obtained without a warrant if the individual gave the information voluntarily to a third party. In the Carpenter case, the government is arguing that Carpenter gave MetroPCS and Sprint, as the cellphone carriers, his cellphone's location information, which authorities wanted to search. The speed of innovation in the digital space has made it “very hard for the Supreme Court, with the Fourth Amendment, to keep up,” says Chemerinsky. The roots of privacy in the United States date to the 17th and 18th centuries, when colonists inherited a strong belief from their English forebears that their homes were sacrosanct and could not be illegally searched; nor did they want troops quartered in their houses without their permission. As democratic norms spread in the colonial period and the newly independent nation drew up a constitution in 1787, the notion of privacy came to encompass the protection of liberty from governmental authority. In a landmark 1890 Harvard Law Review article, 34-year-old lawyer Louis Brandeis of Boston, who would become a Supreme Court justice in 1916, and a co-author argued that the United States needed to formally recognize a right to privacy. Spurring his call was the growing use of photography and the expansion of a muckraking press that was aggressively investigating the excesses of the age. The Constitution's framers had sought to protect Americans in their “beliefs, their thoughts, their emotions and their sensations,” Brandeis and Samuel D. Warren wrote. They proposed that invasions of privacy be classified as a tort — a wrong for which someone can sue in court and obtain economic damages. The U.S. Constitution does not explicitly mention privacy, but Justice William O. Douglas, writing for the majority in Griswold, called privacy a “penumbral right,” meaning it was implicit in the Bill of Rights. For example, he wrote, the Fourth Amendment and its prohibition against “unreasonable searches and seizures” created a zone of privacy in the bedroom. And in 1978, Congress passed the Foreign Intelligence Surveillance Act (FISA), creating a separate court to oversee requests for surveillance and covert searches, with looser rules for obtaining permission to conduct such surveillance. Spurred by the 9/11 terrorist attacks, Congress in late 2001 passed the Patriot Act, expanding authorities' ability to conduct warrantless searches and access information about Americans' online and offline communications. The act was updated with the 2015 Freedom Act, which extended the Patriot Act through 2019 but eliminated the bulk collection of Americans' phone records. The Patriot Act includes a “roving” wiretap provision that allows the FBI to eavesdrop on suspects who use and dump cellphones. The government's ability to collect business records in investigations continues but is limited in scope. The internet's growth in size and sophistication spawned a new debate: How much control should internet service providers have over how consumers experience the internet and how their data is handled? An ISP is basically the pipe that delivers the internet to a business or a home, as well as a person's phone or computer. Opponents said the FCC gained too much power under the Open Internet Order, including authority over privacy policies, which previously had belonged to the Federal Trade Commission. “The FTC has been our nation's privacy enforcer, and we think [we should] leave that authority with them,” says Rep. Blackburn. The ISPs have pledged to follow the FTC's recommendations on opt-in consent for sensitive information. The states might have the final word on all this. After the repeal of the FCC's more stringent privacy regulations, legislatures in at least 22 states and the District of Columbia have proposed bills tightening consumer privacy rules. Nevada and Minnesota already require ISPs to get opt-in permission before sharing personal information. And Minnesota requires permission before disclosing data about browsing habits. The debate surrounding privacy rights ramped up after former NSA contractor Edward Snowden leaked classified information about the NSA's global surveillance programs, including previously unknown programs involving Americans. But the only bill that Congress has passed as a result of those revelations was legislation in 2015 to stop the bulk collection of phone records of millions of citizens. The USA Freedom Act was praised by Snowden and others as the most significant surveillance reform bill since 1978. Two years later, privacy advocates had hoped to stop the reauthorization of Section 702 of the FISA Amendments Act, due to expire at the end of 2017. Congress had added the section in 2008 to allow warrantless surveillance of suspects and to legalize a post-9/11 secret surveillance program. It included gathering communications between those suspects and Americans, as well as communication among Americans if foreign suspects were mentioned. Massive data breaches and invasive surveillance technology are accelerating the discussion about the need for better privacy protections. Among other things, security experts and privacy advocates are proposing consumer education, tighter regulation and stronger oversight. Numerous lawsuits against Equifax accusing the company of negligence are pending after last year's enormous data breach. More than four months passed between the time Equifax failed to install a security patch and the time the issue was resolved. In the wake of massive data breaches, Congress is considering several measures. Rep. Johnson of Georgia is backing the Cyber Privacy Fortification Act, which would establish criminal penalties for those who intentionally conceal security breaches. “We must have measures in place that provide accountability to the public when corporations and their executives do the wrong thing and it hurts people,” he says. Regan of George Mason University also sees the Trump administration as a potential roadblock. “With the current administration [in power], I think we're highly unlikely to see any legislation passed,” she says. The new regulations codify “privacy by design,” in which systems storing data must include privacy protections from inception — not as an afterthought. The regulations will apply to any business processing the data of someone living in the EU, regardless of where the company itself is located. An organization out of compliance will face fines of up to 4 percent of annual gross revenues or 20 million pounds, whichever is greater. Businesses must use clear and easily understandable language on forms requesting data. The forms also must include the purposes for which the data will be used. Organizations must reveal a breach within 72 hours of its discovery. In a significant shift, EU citizens will have the right to find out whether any of their personal data is being collected, and if so, what and where. In addition, they will be entitled to an electronic copy of the data free of charge. “Right now, Europe is the regulatory superpower,” says technology security expert Schneier. China, meanwhile, is expanding its use of facial recognition to build a national surveillance and data-sharing platform. In a test of the far-reaching “Sharp Eyes” program, authorities are alerted if targeted people move more than 330 yards outside of designated areas. “Surveillance technologies are giving the government a sense that it can finally achieve the level of control over people's lives that it aspires to,” said German academic Adrian Zenz. “Lots of online companies are employing algorithms for a whole range of business practices,” says Verdi of the Future of Privacy Forum. Personal data that may be shared is becoming even more personal than name and address. Newly popular DNA kits are raising privacy red flags over the danger of companies sharing a person's genetic information with third parties, such as health insurance companies. Privacy advocates and many lawmakers from both political parties agree that danger lies ahead if the United States does not take steps soon to safeguard consumer privacy. “There has to be a much saner policy on disclosure of discovered vulnerabilities,” he says. “I am worried [that by] 2022, we may have entered the movie ‘Minority Report,’” about a world where people are arrested based on computer projections, before they actually commit crimes. Despite the growing concerns over privacy, Rotenberg says he is “cautiously optimistic” that solutions can be found. “I don't think you can afford to give up on the future,” he says. Companies such as Alphabet's Chronicle are emerging to offer businesses better protections against data breaches. And universities are beginning to offer specialties such as Brown University's Executive Master in Cybersecurity program to address a growing need for professionals. “There are always going to be risks, and really bad things will happen, but we will muddle through,” says Harper of the Competitive Enterprise Institute. It may take a while, he adds. “Society will just get good at figuring this out,” says Harper. Protecting consumer data is not only possible but essential. Despite repeated claims that “privacy is dead,” people value their individual privacy and living in a society that protects privacy. They also want their online data protected and are outraged by data breaches such as those at Equifax (2017), Uber (2016) and Yahoo (2013). However, the current policy for protecting privacy, based on a 1970s idea of “fairness” and captured under the mantra of “notice and consent,” does not provide the necessary protection. Privacy-consent policies are long, unclear and legalistic — and unrealistically burden the individual who is focused on a transaction or activity. Hence the paradox that people care about privacy but act in ways that compromise it. And state laws provide redress only after a data breach occurs, leave consumers vulnerable to future harms and provide no real consequences for the companies. As consumers' online and offline lives continue to blend into seamless data streams, protecting consumer data will be critical to innovations such as those promised by the Internet of Things and “big data.” Contrary to popular, but largely untested, beliefs that regulation of cyber activities will stifle online innovation, effective privacy and security regulation is now necessary to foster innovation. Consumers are becoming more wary and skeptical as media coverage of privacy issues increases. In 2017, a Guardian reporter asked Tinder, a dating app, what information it had about her only to learn it had amassed, in her words, “her deepest, darkest secrets.” This is one of numerous examples ranging from concerns about reported misuse of personal data by many popular online companies to unauthorized surveillance and questionable security by nanny cameras, Alexa and driverless cars. Effective privacy and security policies that consumers trust will require government regulation to hold companies accountable and render significant consequences for bad actors. Self-regulation by companies has not proven effective, and calls for more rigorous self-regulation are unlikely to improve the situation because real protections are expensive and not necessarily in the company's interest. Instead, we need requirements for designing privacy and security into online systems; clear standards for appropriate uses of information; outside audits to ensure that personal data are being maintained with security and integrity; and a way for individuals to learn what types of their information are being held and delete irrelevant or outdated details. But just because everything is hackable doesn't mean everything will be hacked. The difference between the two is complex, and filled with defensive technologies, security best practices, consumer awareness, the motivation and skill of the hacker and the desirability of the data. The risks will be different if an attacker is a criminal who just wants credit-card details — and doesn't care where he gets them from — or the Chinese military looking for specific data from a specific place. In most cases, it's impossible for consumers to make informed decisions about whether their data are protected. We have no idea what sorts of security measures Google uses to protect our highly intimate Web search data or our personal emails. We have no idea what sorts of security measures Facebook uses to protect our posts and conversations. Think about all the companies collecting personal data about you — the websites you visit, your smartphone and its apps, your internet-connected car — and how little you know about their security practices. Even worse, credit bureaus and data brokers like Equifax collect your personal information without your knowledge or consent. So while it might be possible for companies to do a better job protecting our data, you as a consumer are in no position to demand such protection. 1920s–1950s Privacy rights evolve through court decisions on the Fourth Amendment's prohibitions against unreasonable searches and seizures. 1928 Supreme Court says warrants are not required in wiretapping cases because no governmental search or seizure is involved. 1948 U.N. passes Universal Declaration of Human Rights, calling privacy a fundamental human right. 1960s–1970s Supreme Court rules that the Constitution protects a “zone of privacy” for individuals. 1965 Supreme Court cites an individual's right to privacy in establishing the right to use contraception (Griswold v. Connecticut). 1970 Fair Credit Reporting Act allows individuals to access their credit reports and challenge inaccuracies but immunizes credit agencies from invasion-of-privacy suits. 1972 Federal panel releases the Code of Fair Information Practices, protecting use of consumer data. 1974 Privacy Act outlines how federal agencies should handle individuals' data. 1978 Foreign Intelligence Surveillance Act (FISA) creates a separate court to oversee government surveillance and covert searches. 1980s–1990s Internet service providers and advertisers develop tools for tracking consumer behavior. 1986 Electronic Communications Privacy Act extends restrictions on telephone wiretaps to computer data. 1989 Tim Berners-Lee, a British scientist, invents the World Wide Web. 1990 Virtually all U.S. states recognize a right to privacy in civil suits. 1996 Health Insurance Portability and Accountability Act is the first federal statute to directly regulate the privacy of personal health data…. European Union requires various entities to protect personal information. 1998 Children's Online Privacy Protection Act regulates the collection of children's personal information online. 1999 Gramm-Leach-Bliley Act allows financial institutions to share customers' information with affiliates. 2000–Present Data breaches and government surveillance become common. 2001 After the 9/11 terrorist attacks, the USA Patriot Act allows authorities to investigate and detain suspected terrorists. 2005 New York Times reports the George W. Bush administration secretly authorized warrantless surveillance of U.S. citizens by the National Security Agency (NSA). 2008 FISA is expanded to allow warrantless surveillance…. Heartland Payment Systems is hacked, exposing information on more than 134 million credit cards. 2011 In one of the worst-ever gaming hacks, 77 million Sony PlayStation network accounts are compromised. 2013 Former NSA contractor Edward Snowden begins leaking classified documents, revealing that the NSA was illegally collecting data…. Hackers steal email addresses and passwords from all 3 billion Yahoo accounts. 2015 USA Freedom Act extends parts of the Patriot Act and ends bulk collection of phone data. 2017 Hackers steal personal information of 145 million Americans from Equifax, but the credit agency waits weeks to report it…. Uber admits to paying $100,000 ransom after hackers stole 57 million records, including driver's license numbers. May 2018 European Union's General Data Protection Regulation takes effect. Experts say connected devices are easy to hack. Nathan Ruser, a 20-year-old Australian studying security and the Middle East, noticed something strange in late January when he zoomed in on an interactive online map showing two years of activity by runners and walkers wearing Web-connected fitness devices. Some toys also pose concerns. 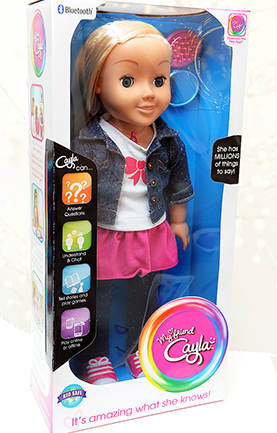 U.S. privacy advocates filed a complaint in 2016 with the Federal Trade Commission (FTC) about a microphone-equipped doll named My Friend Cayla. The advocates said the toy, which is able to “talk” to children by establishing wireless internet connections with a third-party voice-recognition software company, is easily hackable and violates child-protection regulations and laws. Advocates of IoT devices say virtual assistants such as Amazon's Alexa and Apple's Siri offer not only convenience but also enormous benefits. “The voice control for Alexa is convenient for me, but if you're blind, Alexa is a game-changer,” says John Verdi, vice president of policy for the Future of Privacy Forum, a think tank that advocates for data privacy. Technology security expert Bruce Schneier says the dangers posed by the IoT are so great that a federal agency should be created to deal with them. While a data breach may be serious, “the IoT can kill people,” he says. He cites a situation in which hackers take control of self-driving cars, which use wireless internet connections to guide them. “Crashing all the cars in Pittsburgh is a perfectly reasonable attack scenario,” Schneier says. Liz Sly, “U.S. soldiers are revealing sensitive and dangerous information by jogging,” The Washington Post, Jan. 29, 2018, https://tinyurl.com/yb8buo6t. Louis Columbus, “2017 Roundup Of Internet Of Things Forecast,” Forbes, Dec. 10, 2017, https://tinyurl.com/ybe5zu7z; Mark Patel, Jason Shangkuan and Christopher Thomas, “What's new with the Internet of Things?” McKinsey & Company, May 2017, https://tinyurl.com/y8fk4sft. “Best Practices for Consumer Wearables & Wellness Apps and Devices,” Future of Privacy Forum, August 2016, https://tinyurl.com/yav3xl8u. Aimee Picchi, “Amazon, Walmart urged to stop selling ‘spying’ doll,” CBS News, Dec. 20, 2016, https://tinyurl.com/ybmetwml. Ibid. ; “German parents told to destroy Cayla doll over hacking fears,” BBC, Feb. 17, 2017, https://tinyurl.com/j3hrwrq. Sapna Maheshwari, “Is Your Vizio Television Spying on You? What to Know,” The New York Times, Feb. 7, 2017, https://tinyurl.com/yahyoleg; “Vizio agrees to pay $2.2 million to settle FTC's television-spying case,” The Washington Post, Feb. 6, 2017, https://tinyurl.com/yaqa7kjr. Jeff John Roberts, “Who to Blame for the Attack on the Internet,” Fortune, Oct. 23, 2016, https://tinyurl.com/hq3p6yd. The trouble began at the end of 2015. Amy Wang, an occupational therapist in Miami, and her husband started receiving credit card approvals and rejections from stores like electronics retailer hhgregg, Walmart and Bloomingdale's. “Every day it was a different card,” she says. Her husband would get on the phone each night and try to tell the companies they had not applied for any cards. Then the bills began arriving. Macy's and Bloomingdale's said they owed a total of $20,000 for goods the Wangs never bought on cards they did not possess. The couple filed a police report. “Anything that anyone told us to do, we did,” says Wang. Then they received a change-of-address confirmation form in the mail in early January 2016. “I just thought it was a mistake,” she says. Wang called the U.S. Postal Service's 800 number listed on the form and explained they had not moved. She assumed their mail would start arriving again, but it did not. When Wang talked to their letter carrier about it, he told her their mail was still being forwarded and advised her to go to the post office near her house. There, she was told it would take seven to 10 days to restore her mail service. About two weeks later, when the couple were still not receiving mail, she started calling the Postal Service's district office. “A trickle” of mail finally started to appear around the end of February, nearly two months after they had received the notice. It was frustrating, she says, because nothing seemed to work. “We felt like we were in some weird sci-fi movie,” says Wang. The Postal Service did not respond to CQ Researcher requests for comment. The timing of the identity theft was not accidental, says Wang. The thieves got “all of our tax information, our kids' Social Security numbers” on documents mailed to them by the IRS in January. “It is inevitable that each and every one of us is going to have [our identity] compromised in our lives,” says Adam Levin, founder and chairman of CyberScout, a business focusing on identity theft services. Minimize the risk of exposure: Reduce the number of credit cards you carry, secure your wireless devices and limit your sharing of personal details on social media. Monitor your money: Check you bank accounts daily, get a free credit report annually, sign up with credit monitoring services for free transactional alerts. “Know as quickly as possible that you have a problem, and then have a plan,” he says. Wang says she and her husband had been notified of a data breach and heard of the possibility of another before their troubles began. But they have no idea whether either had anything to do with the identity theft. The whole experience, they say, was bewildering and frightening. “You don't understand it until it happens to you,” Wang says. Al Pascual, Kyle Marchini and Sarah Miller, “2017 Identity Fraud: Securing the Connected Life,” Javelin Strategy & Research, Feb. 1, 2017, https://tinyurl.com/y7salnbj; Peter Rudegeair and AnnaMaria Andriotis, “Identity Fraud Hits Record Number of People,” The Wall Street Journal, Feb. 7, 2018, https://tinyurl.com/y8f2h2hq. “Consumer Sentinel Network Handbook Data Book for January-December 2016,” Federal Trade Commission, March 2017, https://tinyurl.com/juk8uvd. Adam Levin, “Privacy is Dead, 3 Ways to Protect Yourself,” Cyberscout.com, Aug. 28, 2015, https://tinyurl.com/ycnh8fvt. 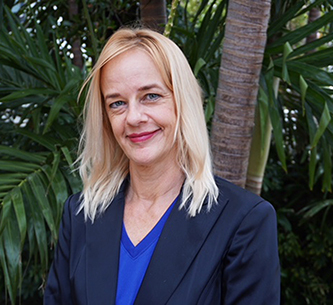 “Are You a Victim of ‘Card-Not-Present’ Fraud?” Identity Theft Resource Center, https://tinyurl.com/y7mvaaf8; Jodi Helmer, “New industry tools fight credit card fraud,” CreditCards.com, Sept. 19, 2014, https://tinyurl.com/y85ruebo. Karin Price Mueller, “Bamboozled: Have a mailbox? See the scary ‘identity takeover’ that could happen to you,” NJ.com, Feb. 27, 2017, https://tinyurl.com/yazanaxg; Paul Muschick, “Postal Service change of address system exploited by identity thief,” Morning Call, Nov. 10, 2017, https://tinyurl.com/yalkxkpn. “Are You a Victim of ‘Card-Not-Present’ Fraud?” op. cit. Edgar, Timothy H. , Beyond Snowden: Privacy, Mass Surveillance, and the Struggle to Reform the NSA , Brookings Institution, 2017. Although surveillance programs pose a profound threat to privacy, it need not be sacrificed for intelligence agencies to do their jobs, writes a former intelligence official in the George W. Bush and Barack Obama administrations. Levin, Adam , Swiped: How to Protect Yourself in a World Full of Scammers, Phishers, and Identity Thieves , PublicAffairs, 2016. A longtime consumer advocate says that to protect against identity theft, consumers must focus on minimizing risk, monitoring their identity and managing the damage. Schneier, Bruce , Data and Goliath: The Hidden Battles to Collect Your Data and Control Your World , W.W. Norton, 2016. A cybersecurity expert outlines how to reform government programs and create business models that protect privacy. Hymson, Paige , “White House Cybersecurity Coordinator Rob Joyce calls Social Security identification system ‘flawed,’” The Washington Post, Oct. 4, 2017, https://tinyurl.com/ycxnwadd. Government agencies have been asked to explore a more secure cryptographic identifier to replace the Social Security number. Kastrenakes, Jacob , “Most smart TVs are tracking you, Vizio just got caught,” The Verge, Feb. 7, 2017, https://tinyurl.com/ydckvapo. The author provides tips on how consumers can control whether smart TVs and other streaming devices capture their data. Rosic, Ameer , “What is Blockchain Technology? A Step-by-Step Guide For Beginners,” Blockgeeks, undated, https://tinyurl.com/mkmf62o. An easy-to-understand guide describes blockchain technology, which allows digital information to be shared but not copied. Rotenberg, Marc , “Equifax, the Credit Reporting Industry, and What Congress Should Do Next,” Harvard Business Review, Sept. 20, 2017, https://tinyurl.com/y9spbfvg. Congress needs to address fundamental flaws in the use of the Social Security number system and in the credit industry, says the president of the Electronic Privacy Information Center, which studies privacy issues. Savage, Charlie, Eileen Sullivan and Nicholas Fanidos , “House Extends Surveillance Law, Rejecting New Privacy Safeguards,” The New York Times, Jan. 11, 2018, https://tinyurl.com/yckjajl2. The House voted to continue the National Security Agency's warrantless surveillance program for another six years, despite bipartisan calls for more privacy protections. Schneier, Bruce , “Click Here to Kill Everyone,” New York Magazine, Jan. 27, 2017, https://tinyurl.com/jztq8yz. A cybersecurity expert argues that the Internet of Things, which connects household and other devices to the internet, is equivalent to a world-size robot that needs to be controlled. Sorkin, Amy Davidson , “In Carpenter case, Justice Sotomayor tries to picture the smartphone future,” The New Yorker, Nov. 30, 2017, https://tinyurl.com/ydf4fbpk. The author explains the nuances of Carpenter v. United States, which some consider the most significant privacy case in decades, and Supreme Court Justice Sonia Sotomayor's role in the case. “Data Breaches Database,” Privacy Rights Clearinghouse, 2005-Present, https://tinyurl.com/yc8x3xe2. A database maintained by a privacy rights advocacy group identifies data breaches by type and year. Rotenberg, Marc , “Testimony and Statement for the Record, Hearing on Consumer Data Security and Credit Bureaus,” Committee on Banking, Housing and Urban Affairs, U.S. Senate, Oct. 17, 2017, https://tinyurl.com/y7qjaar4. 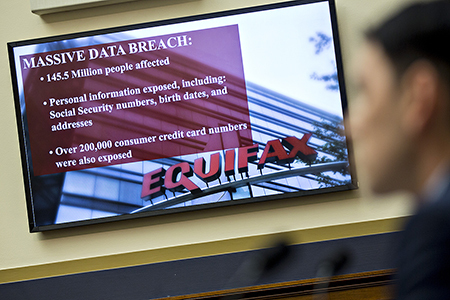 The president of the Electronic Privacy Information Center outlines steps Congress could take to minimize the risk of another major data breach in the wake of the massive Equifax hack. Schneier, Bruce , “Testimony Before the House Subcommittee on Digital Commerce and Consumer Protection,” U.S. House of Representatives, Nov. 1, 2017, https://tinyurl.com/ybax987q. A noted cybersecurity expert argues that effective regulation of data brokers is vital to protect citizens and national security. Smith, Lauren , “Unfairness by Algorithm, Distilling the Harms of Automated Decision-Making,” Future of Privacy Forum, Dec. 11, 2017, https://tinyurl.com/yd3mepk6. Automated decision-making can cause economic and social harm and restrict liberty, argues a report by a think tank focused on data privacy issues. Khan, Mehreen, and Aliya Ram , “EU warns member states over data protection reforms,” Financial Times, Jan. 24, 2018, https://tinyurl.com/y7mvkced. With its stringent new privacy rules taking effect in May, the European Union (EU) is urging member states to quickly bring their national laws in alignment with the reforms that will give consumers more control over how businesses use their personal data. Lomas, Natasha , “WTF is GDPR?” Tech Crunch, Jan. 20, 2018, https://tinyurl.com/yabhlll2. The European Union's new privacy rules, the General Data Protection Regulation (GDPR), aim to foster growth in the digital economy by reassuring consumers that their information is safe. Ram, Aliya, and Hannah Kuchler , “Europe's data rule shake-up: How companies are dealing with it,” Financial Times, Jan. 3, 2018, https://tinyurl.com/y84n5j2q. Companies, including Facebook and the online audio distribution platform SoundCloud, are scrambling to understand the EU's new rules before their implementation in May. Adams, R. L. , “Identity Theft Protection: 10 Ways To Secure Your Personal Data,” Forbes, May 5, 2017, https://tinyurl.com/y9wruhnd. An identity theft victim who had his personal information stolen from a GoDaddy account offers tips on how to avoid the same fate. Dobrin, Isabel , “To Protect Children From Identity Theft, Parents Must Be Proactive,” NPR, Oct. 18, 2017, https://tinyurl.com/yaq6dkhr. The theft of children's Social Security numbers is especially worrisome because their parents may not discover the theft for years since the children will likely not be applying for credit for some time, said an expert at the Federal Trade Commission. Grant, Kelli B. , “How to protect yourself after the Equifax breach: Assume you're affected,” CNBC, Sept. 8, 2017, https://tinyurl.com/ycd4fhoq. The best way to protect your identity after the 2017 breach at the consumer credit reporting agency Equifax is to assume your information is already out there and to freeze everything, says a personal finance writer. “Business Is Embracing Internet Of Things As Most Important Technology, Says New Study,” Forbes, Jan. 16, 2018, https://tinyurl.com/y8r3v4ew. Despite implementation challenges, companies are embracing the Internet of Things (IoT) — personal and household devices that are connected to the internet and transfer data — as the most important emerging technology, according to a survey of more than 500 senior executives. Ismail, Nick , “The Internet of Things: The security crisis of 2018?” Information Age, Jan. 22, 2018, https://tinyurl.com/ybsfcsg9. Security risks are growing as the IoT expands, a tech writer warns. “South Dakota Senate Panel Approves Data Breach Legislation,” The Associated Press, U.S. World News & Report, Jan. 23, 2018, https://tinyurl.com/y8z8wsk5. Under proposed state legislation, companies would be required to inform South Dakota residents when their personal data has been breached. Khalil, Fouad , “Europe's privacy law set to change how personal data is handled around the globe,” The Hill, Dec. 27, 2017, https://tinyurl.com/yc82ve6e. Europe's tough new privacy regulations, which will apply to U.S. companies doing business on the Continent, might spur Congress to pass data protection legislation. Matishak, Martin , “Trump signs surveillance extension into law,” Politico, Jan. 19, 2018, https://tinyurl.com/y8dmcb32. The renewal of the Foreign Intelligence Surveillance Act will enable U.S. intelligence agencies to continue taking user data from companies like Google and Facebook without a warrant. Libertarian think tank that studies privacy issues, especially data privacy. Libertarian think tank whose executive vice president and senior fellow Jim Harper was a founding member of the Department of Homeland Security's Data Privacy and Integrity Advisory Committee. Harper has written amicus briefs in Fourth Amendment cases. Advocacy group focused on digital civil liberties; opposes illegal surveillance and advocates for the protection of data privacy. Research group that focuses on privacy issues involving digital data, surveillance and civil liberties. Think tank seeking solutions for privacy issues concerning data use. Advocacy group that supports identity theft victims and works to educate the public about how to protect against identity theft, data breaches, scams and frauds. “2017 Data Breaches,” Privacy Rights Clearinghouse, https://tinyurl.com/y9pw3pvq. “2017 Annual Data Breach Year End Review,” Identity Theft Resource Center, Jan. 25, 2017, https://tinyurl.com/yb3epaf9. “Data Breaches on the Rise,” Electronic Privacy Information Center, Jan. 25, 2017, https://tinyurl.com/ybl5bn97. Kenneth Harney, “Data breach at Equifax prompts a national class-action suit,” The Washington Post, Nov. 22, 2017, https://tinyurl.com/ybg4h4q9. Selena Larson, “Every single Yahoo account was hacked: 3 billion in all,” CNNtech, Oct. 4, 2017, https://tinyurl.com/ydevl9e9. Eric Newcomer, “Uber Paid Hackers to Delete Stolen Data on 57 Million,” Bloomberg, Nov. 21, 2017, https://tinyurl.com/y8zpdrcw. Michael Kassner, “Anatomy of the Target Data Breach,” ZDNet, Feb. 2, 2015, https://tinyurl.com/lp7y8rt. Taylor Amerding, “The 17 biggest data breaches of the 21st Century,” CSO, Jan. 26, 2018, https://tinyurl.com/yajr5eem. Selena Larson, “Google says hackers steal almost 250,000 web logins each week,” CNNtech, Nov. 9, 2017, https://tinyurl.com/yaaluvje. Kimberly Kindy, “How Congress dismantled Internet privacy rules,” The Washington Post, May 30, 2017, https://tinyurl.com/yc36et8f. Brian Fung, “The FCC just voted to repeal its net neutrality rules, in a sweeping act of deregulation,” The Washington Post, Dec. 14, 2017, https://tinyurl.com/y7h2u3k8. “Warren, Warner Unveil Legislation to Hold Credit Reporting Agencies Like Equifax Accountable for Data Breaches,” press release, Office of Sen. Elizabeth Warren, Jan. 10, 2018, https://tinyurl.com/y8dr8shz. “GDPR Portal: Site Overview,” European Union, https://tinyurl.com/ybhn3f5d. “Domo Releases Annual ‘Data Never Sleeps' Infographic,” GlobeNewswire, Nasdaq, July 25, 2017, https://tinyurl.com/ybz5hqvb; “10 Key Marketing Trends for 2017,” IBM, https://tinyurl.com/y9xrkesl. Selena Larson, “Alphabet launches cybersecurity firm Chronicle,” CNNtech, Jan. 24, 2018, https://tinyurl.com/yar3e8ts. Liz Mineo, “On internet privacy, by very afraid,” The Harvard Gazette, Aug. 24, 2017, https://tinyurl.com/ydblamx2. Lauren Smith, “Unfairness by Algorithm: Distilling the Harms of Automated Decision-Making,” Freedom of Privacy Forum, Dec. 11, 2017, https://tinyurl.com/yd3mepk6. Daniel J. Solove, “A Brief History of Information Privacy Law,” George Washington University Law School, Feb. 9, 2017, https://tinyurl.com/ya2fe7ta. Bernard Marr, “The Internet Of Things (IOT) Will Be Massive In 2018: Here Are The Four Predictions From IBM,” Forbes, Jan. 4, 2018, https://tinyurl.com/ybwnbxnj. Ray Downs, “Google Home Mini caught ‘spying’ on owner,” UPI, Oct. 13, 2017, https://tinyurl.com/yav3uzl6; Frederic Lardinois, “Google says it sold a Google Home device every second since October 19,” Tech Crunch, Jan. 5, 2018, https://tinyurl.com/yccumv4o. “The Privacy Implications of Cloud Computing,” Privacy Rights Clearinghouse, Sept. 27, 2017, https://tinyurl.com/ybjk7rq9. Robert Hackett, “Data Breach Exposes 123 Million Households,” Fortune, Dec. 22, 2017, https://tinyurl.com/y7v7acxk. “GDPR Portal: Site Overview,” op. cit. Jeff Dunn, “Trump just killed Obama's internet-privacy rules — here's what that means for you,” Business Insider, April 4, 2017, https://tinyurl.com/lshv6au. “Statement On The BROWSER Act,” Internet Association, May 23, 2017, https://tinyurl.com/y74bqjos. “Consumers Need an Internet Bill of Rights,” AT&T, Jan. 24, 2018, https://tinyurl.com/ybg9ev8u. Devin Coldewey, “AT&T's ‘Internet Bill of Rights' idea is just a power play against Google and Facebook,” TechCrunch, Jan. 24, 2018, https://tinyurl.com/yd5wzelg. Bruce Schneier, “Testimony before the House Subcommittee on Digital Commerce and Consumer Protection,” Nov. 1, 2017, https://tinyurl.com/ybax987q. Krystal Overmyer, “The Psychology of Behavioral Targeting Goes Deeper Than You'd Think,” Skyword, June 28, 2016, https://tinyurl.com/yccny5ao. Paige Hymson, “White House Cybersecurity Coordinator Rob Joyce calls Social Security identification system ‘flawed,’” The Washington Post, Oct. 4, 2017, https://tinyurl.com/y9uapmbc. Nafeesa Syeed and Elizabeth Dexheimer, “The White House and Equifax Agree: Social Security Numbers Should Go,” Bloomberg, Oct. 3, 2017, https://tinyurl.com/yba8pyf9. Kalev Leetaru, “Replacing US Social Security Numbers With Estonia's Cryptographic Model?” Forbes, Oct. 15, 2017, https://tinyurl.com/y8o5nhjn. “H.R.624 — Social Security Number Fraud Prevention Act,” CongressGov, Sept. 15, 2017, https://tinyurl.com/ydxfj2w6. Farai Chideya, “The Way We Use Social Security Numbers Is Absurd,” FiveThirtyEight, Oct. 15, 2015, https://tinyurl.com/yddn2tbs. Steven Bellovin, “Replacing Social Security Numbers Is Harder Than You Think,” Motherboard, Oct. 5, 2017, https://tinyurl.com/y7dy43ro. Marc Rotenberg, Testimony before Senate Banking Committee, Electronic Privacy Information Center, Oct. 17, 2017, https://tinyurl.com/y7qjaar4. April Glaser, “Biometrics are coming, along with serious security concerns,” Wired, March 9, 2016, https://tinyurl.com/y9cwyqdq. Suzanne Wooley, “Want to Ditch Social Security Numbers? Try Blockchain,” Bloomberg, Oct. 9, 2017. https://tinyurl.com/ybbkbpfz. Robert Snell, “Detroiter's case sparks Supreme Court privacy battle,” Detroit News, Nov. 28, 2017, https://tinyurl.com/y99jb6bm. Jess Bravin and Ryan Knutson, “Supreme Court to Weigh Warrantless Cellphone Data Searches,” The Wall Street Journal, Nov 28, 2017, https://tinyurl.com/y9gjs573. John Villasenor, “What You Need to Know about the Third Party Doctrine,” The Atlantic, Dec. 30, 2013, https://tinyurl.com/ydg9gfms. EPIC amicus brief to the U.S. Supreme Court, Aug. 14, 2017, https://tinyurl.com/y8de6kk6. “International Working Group on Data Protection in Telecommunications,” Electronic Privacy Information Center, Nov. 27–28, 2017, https://tinyurl.com/ybkk7nt9. Steven Nelson, “Major Cellphone Privacy Case Accepted by Supreme Court,” U.S. News & World Report, June 5, 2017, https://tinyurl.com/y75d5zq5. Bravin and Knutson, op. cit. Brief to the U.S. Supreme Court, Timothy Ivory Carpenter v. United States of America, p. 7, https://tinyurl.com/y7d7msll. Samuel D. Warren and Louis D. Brandeis, “The Right to Privacy,” Harvard Law Review, Dec. 15, 1890, p. 195, https://tinyurl.com/qavzf2b. Leah Burrows, “Brandeis: To Be Let Alone,” Brandeis Now, July 24, 2013, https://tinyurl.com/pyhcqgg. Viktor Mayer-Schönberger, Delete: The Virtue of Forgetting in the Internet Age (2009), p. 141. European Convention on Human Rights, https://tinyurl.com/qywhyns. Griswold v. Connecticut (1965) Opinion, Justia, https://tinyurl.com/orrrxc4. “A Summary of your Rights under the Fair Credit Reporting Act,” Federal Trade Commission, https://tinyurl.com/narqyf8. Privacy Act of 1974, Department of Justice, https://tinyurl.com/nox2xpf. For background, see Marcia Clemmitt, “Controlling the Internet,” CQ Researcher, May 12, 2006, pp. 409–32. For background, see Marcia Clemmitt, “Internet Regulation,” CQ Researcher, April 13, 2012, pp. 325–48, and Sarah Glazer, “Privacy and the Internet,” CQ Researcher, Dec. 4, 2015, pp. 1009–32. “Internet Privacy Laws We Need to Be Aware of in 2017,” National Law Review, Oct. 12, 2017, https://tinyurl.com/ydg2uou4. “Modernizing Electronic Communications Privacy Act (ECPA),” American Civil Liberties Union, https://tinyurl.com/y9m8vhbl. The Telecommunications Act of 1996, https://tinyurl.com/ydy8j4n3. “Google CEO: Net neutrality a principle we all need to fight for,” CNN Money, Jan. 24, 2018, https://tinyurl.com/y97hsr7o. Laurel Wamsley, “FCC's Pai: Heavy-handed Net Neutrality Rules are Stifling the Internet,” NPR, Nov. 22, 2017, https://tinyurl.com/ybgvt9w7. Cecilia Kang, ”F.C.C. Repeals Net Neutrality Rules,” The New York Times, Dec. 14, 2017, https://tinyurl.com/y9wngf7y. Gigi Sohn, “The FCC's plan to kill net neutrality will also kill internet privacy,” The Verge, April 11, 2017, https://tinyurl.com/yayr9dde. Sabrina Siddiqui, “Congress passes NSA surveillance reform in vindication for Snowden,” The Guardian, June 3, 2015, https://tinyurl.com/yd4mbr64. “Edward Snowden,” TED talk, March 18, 2014, https://tinyurl.com/o2wpjca. Floor testimony, House of Representatives, Congressional Record, Jan. 11, 2018, https://tinyurl.com/yc6elm66. Brendan Pierson, “Anthem to pay record $115 million to settle U.S. lawsuits over data breach,” Reuters, June 23, 2017, https://tinyurl.com/ycptxz9q. Selena Larson, “Senators introduce data breach disclosure bill,” CNNtech, Dec. 1, 2017, https://tinyurl.com/y7zdj7nw. “S. 2234 — IoT Consumer Tips Act of 2017,” CongressGov, https://tinyurl.com/ycbcoofl. “S. 1475: Cyber Hygiene Act,” GovTrack, https://tinyurl.com/ybeu4oqa. Elizabeth Dexheimer and Jesse Hamilton, “Equifax's Seismic Breach Tests Trump's Pledge to Dismantle Rules,” Bloomberg, Sept. 12, 2017, https://tinyurl.com/y77hu3e9. Henry Kenyon, “European Privacy Becomes a U.S. Problem,” CQ, Jan. 29, 2018, https://tinyurl.com/yc6l7fz8. “China Uses Facial Recognition to Fence in Villagers in Far West,” Bloomberg Businessweek, Jan. 17, 2018, https://tinyurl.com/yd777jx2. Simon Denyer, “China's watchful eye,” The Washington Post, Jan. 7, 2018, https://tinyurl.com/y7bodsme. “List of consumer reporting companies,” Consumer Financial Protection Bureau, 2016, https://tinyurl.com/l2wjq8j. Lauren Smith, “Unfairness by Algorithm: Distilling the Harms of Automated Decision-Making,” Future of Privacy Forum, Dec. 11, 2017, https://tinyurl.com/yd3mepk6. For background, see Barbara Mantel, “High-Tech Policing,” CQ Researcher, April 21, 2017, pp. 337–60; Timothy Mclaughlin, “As shootings soar, Chicago police use technology to predict crime,” Reuters, Aug. 5, 2017, https://tinyurl.com/yd4bsawl. Daniella Silva, “Senator calls for more scrutiny of home DNA test industry,” NBC News, Nov. 26, 2017, https://tinyurl.com/y747kanx. Ryan Francis, “Has fraud met its match?” CSO, Feb. 24, 2017, https://tinyurl.com/y7ug9ufc. Ellen Kennerly has worked as a journalist for more than three decades, mostly with the Atlanta Journal-Constitution where she held editing and managerial positions in print and digital. Since then, she worked as professional in residence for the Office of Student Media at Louisiana State University and as an editorial department director for WebMD. She is now a communications consultant in Atlanta.